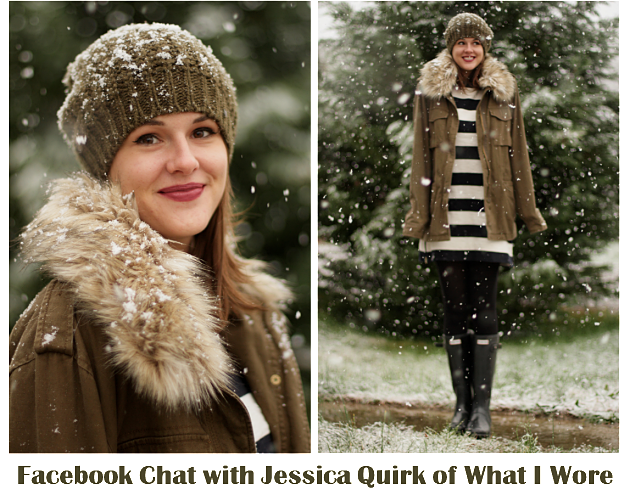 As we gear up for another great Treat Yourself Tuesday, we’re excited to announce that Jessica Quirk, author of What I Wore (the blog and the book! ), will be joining us to host a fun-filled Facebook party. And guess what? You’re invited! Stop by our Facebook Wall at** 12pm PST / 3pm ET on Tuesday 12/6** to get in on the action. And come prepared with questions for Jessica! She’ll be on hand to talk fashion, so here’s your chance to #TreatYourself to some valuable style tips.